Rentals property management made easy. Your all in 1 solution. Try Free Now! Your data will NEVER be shared with anyone. We want you to trust us and provide you with the best property management solution! 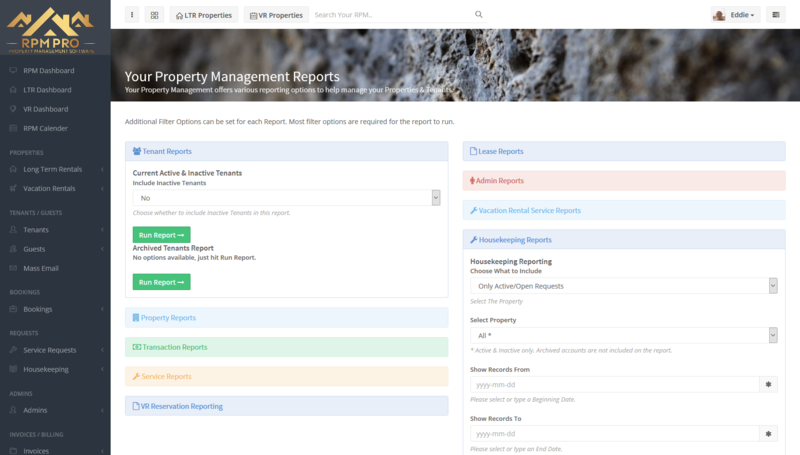 Your New Rentals Property Management Software Should Be Awesome. 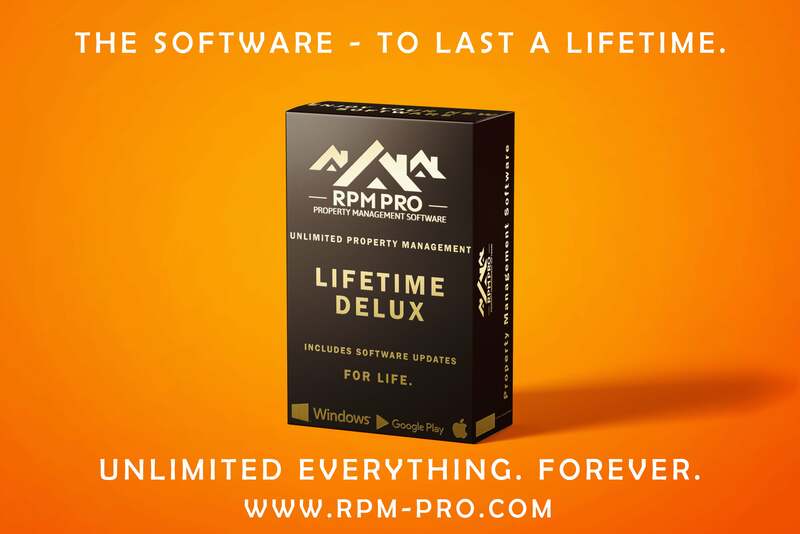 Managing your long term and vacation rental properties, has never been as easy as it is when you use RPM Pro! RPM Pro and it's smart AI manage's most of your rentals business for you, so that you can focus on aquiring more properties and keeping your owners happy. Never send out a lease invoice again, let RPM do it for you! And with online bookings and automated housekeeping request generation you never have to worry about keeping track of what properties need to be cleaned or when people are arriving again, its all done for you and displayed on any device that has internet and a web browser. Everything is easy to find in RPM Pro! 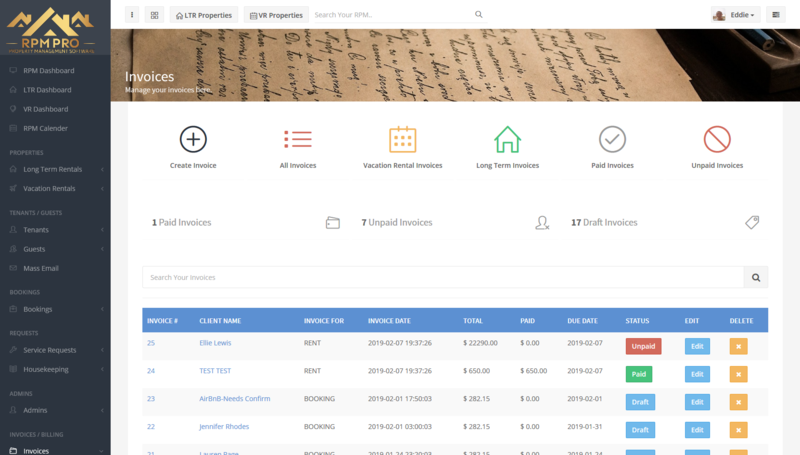 Finding, managing, editing, booking and leasing your properties has never been so easy! Tasks that would usually take up alot of your time can now either be automated or done quickly and easily with RPM Pro. Everything is just a click or 2 away inside your own personalized cloud and with an intuative search system, you can find anything you want, when you want it. Managing your properties can be a time consuming and tedious task. Well not if you use RPM Pro! Manage every single aspect of your properties on pages that are tailored to the side of business that you are currently working on. 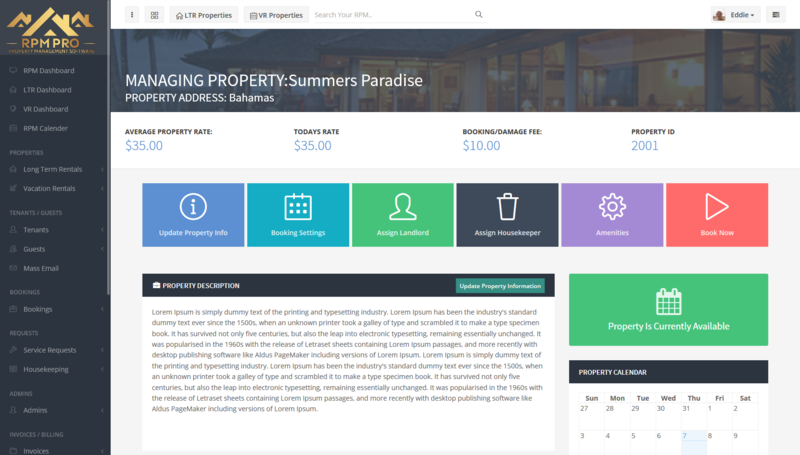 Although keeping the same style the Long Term and Vacation rental management pages have totally different features, as would be expected of a propper rentals management software. Managing both long term and vacation rentals has been tedious in the past, we aim to solve all of the problems involved in running 1 rentals business, with 2 parts. Our system completly seperates your long term & vacation rentals but keeps them together in the same place. 2 Easy & clear dashboards give you a clear overview of what is happening on each side of your business but keeps the accounting all in one place for easy bookkeeping. Automated invoicing saves hours every month! 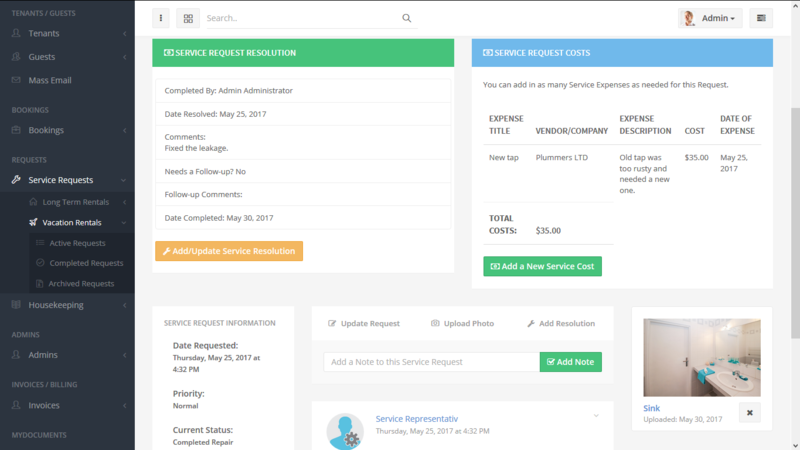 All parts of RPM Pro are linked into the invoicing system, from automated lease invoice generation to online booking invoices & payments you can feel confident that our AI has you covered. We have even included a comprehensive tax system so that you can cover your multi-taxation needs. We have also partnered with Stripe and Authorize.net so that you can get paiud online and keep your payment processing fees low. Need to know specifics? Run a report! Reporting is a vital part of every business so that you can keep track of what is happening. We have made reporting easier than ever before, simply select what report you want to run, set some criteria that you wish and run the report. The pages are specially tailored for printing if you need to make a hard copy of anything and all reports are saved forever! 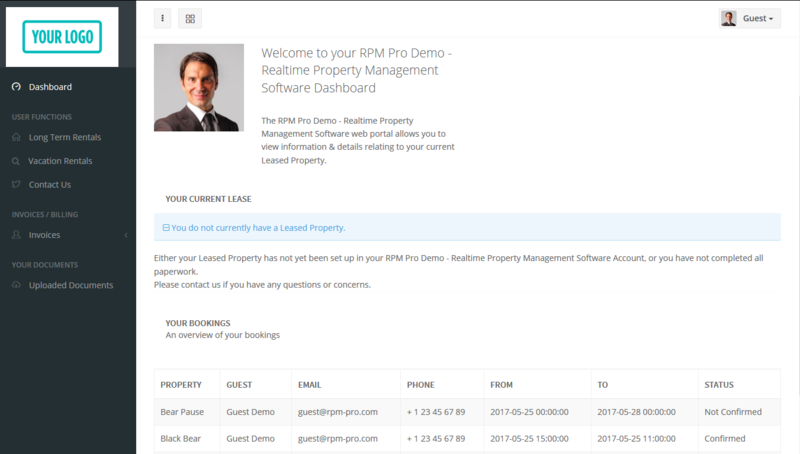 Tracking tenants and guests is all done inside RPM with ease. Get the information you want, and reach out to them without ever having to leave RPM Pro. Full tracking of everything from current and past bookings & leases all the way to email tracking so that you know what has been sent out. 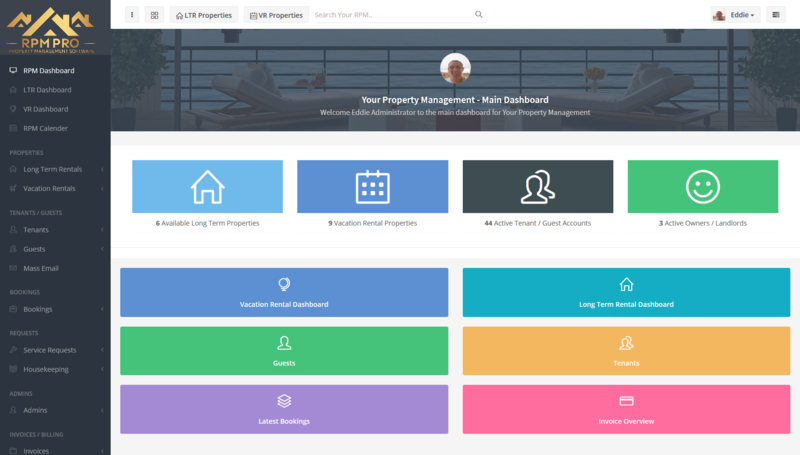 RPM Couldn't have made managing your tenants and guests easier, and it looks good too! 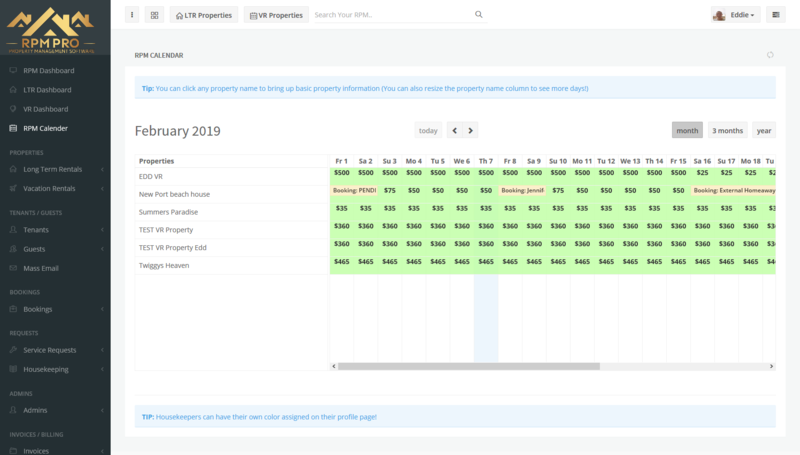 The calendar system inside RPM Pro is second to none, manage your vacation rental booking pricing down to the day for all properties, all on the same calendar. Get clear overview of fees and availability and whats more you can see your housekeeping and service requests too! Everyone gets their very own portal & login. All of your staff, in different departments, need to see different things and have different objectives. We have sat down with rental companies and gone through the software to tailor each account to have its own features applicable just to its specific needs. 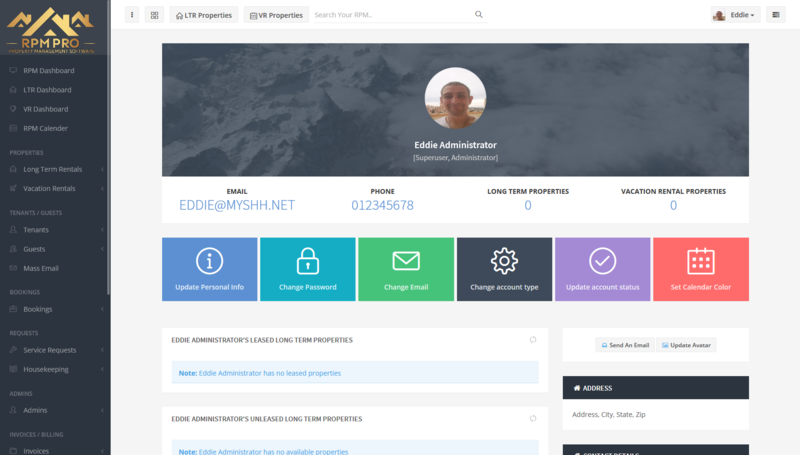 Housekeepers only see what they should see, where admins can do everything. Check out our differnt user levels inside the demo! 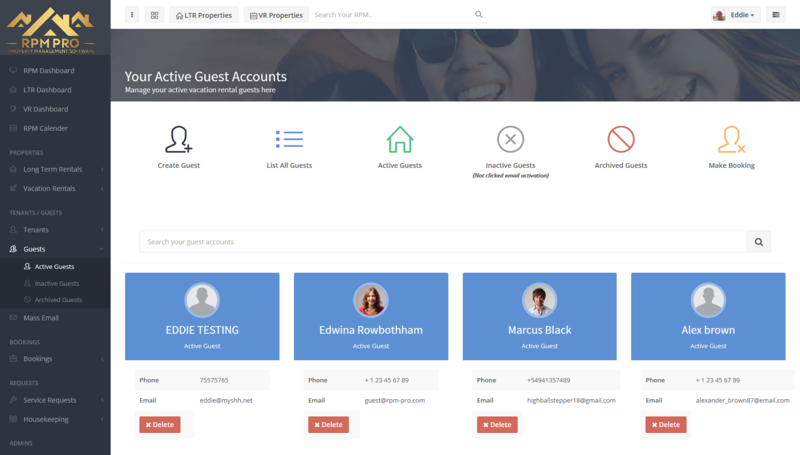 Your tenants & guests get their own login to their own portal. This user portal allows your tenants and guests to manage their bookings or leased property 24/7 from anywhere in the world! From submitting service requests, create/ view and pay their bookings, manage their lease (or send in a lease application) all the way to paying their rent online. You and your tenants / guests will always have peace of mind that everything is tracked 24/7. With full resolution & cost tracking! Managing maintenance for your properties can be tedious, but we have solved this problem with RPM Pro! 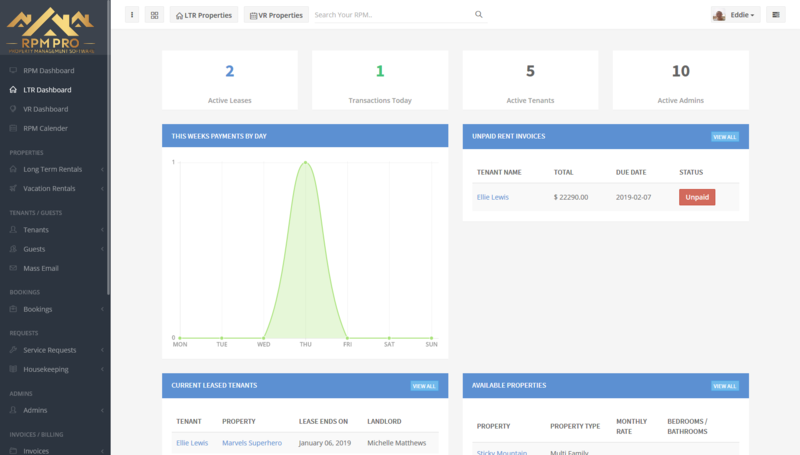 Manage all of your service requests in the same place with full tracking of everything and intuative notifications via email to service reps, admins and even the leased tenant of the property. 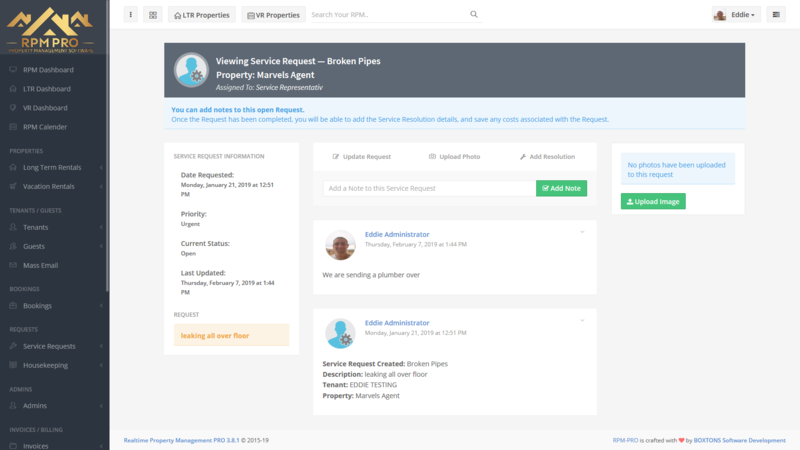 If a tenant or a guest finds an issue they can login to their RPM tenant / guest portal, create a new service request, upload a photo and it's ready for an admin to assign to a service rep. Simple. With full resolution & management of your housekkeping requests! Overview Calendar, automatic assignment and full expense tracking! 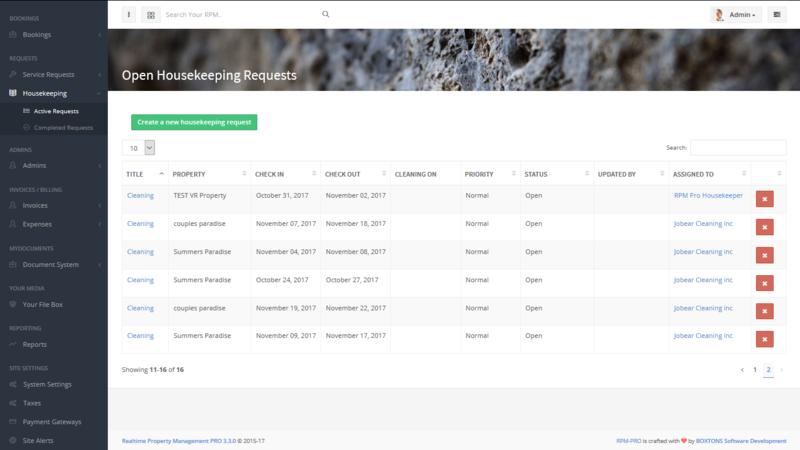 Managing the housekeeping for your properties can be tedious and time-consuming, but with RPM Pro you can manage all of your housekeeping requests in the same place with full tracking of everything. Receive notifications via email when a booking has been created/ updated, assign a temporary housekeeper to a single request, or a permanent housekeeper to a specific property. Each housekeeper can be assigned a unique colour for easy tracking of active requests! This really is the all in one property management solution you have been searching for! Long term AND vacation rental property management. Homeaway, AirBnB, Tripadvisor linking & more! Easy overview of all tenants, properties, payments and more. Create documents, leases, contracts and get them signed online. Mass mailing system comes built in to mail anyone with your latest news / updates. Special Offer Pricing! - Valid Until 10th April 2019! If you have any custom requirements we will tailor make your RPM build 100% - get in touch. 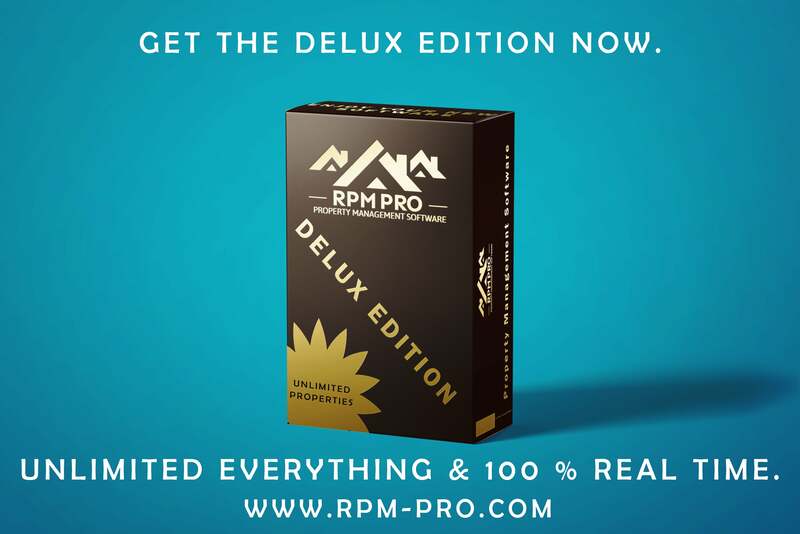 Literally everything you need to run your rentals and vacation rentals business is included in RPM Pro! From long term and vacation property management all the way to rent monitoring to tenant, guest and owner portals! Let your tenants and guests pay you without even leaving their home, and at the same time you can monitor and check all payments & statuses without even leaving yours! Make your office paperless! All documents, leases, rent receipts, contracts can be managed, created and even signed in your RPM Pro software. All with full tracking so you know who signed and when. Literally EVERYTHING you do is updated in real time, from adding properties to recieving a payment the system is updated INSTANTLY without a seconds delay! And it's 100% cloud based too so you don't need to worry about going offline! Full service request and housekeeping tracking in an easy to use way, housekeeping requests are automatically generated upon a booking and service requests can be created by tenants too! And everything is mangaged in 1 easy to use system for all! 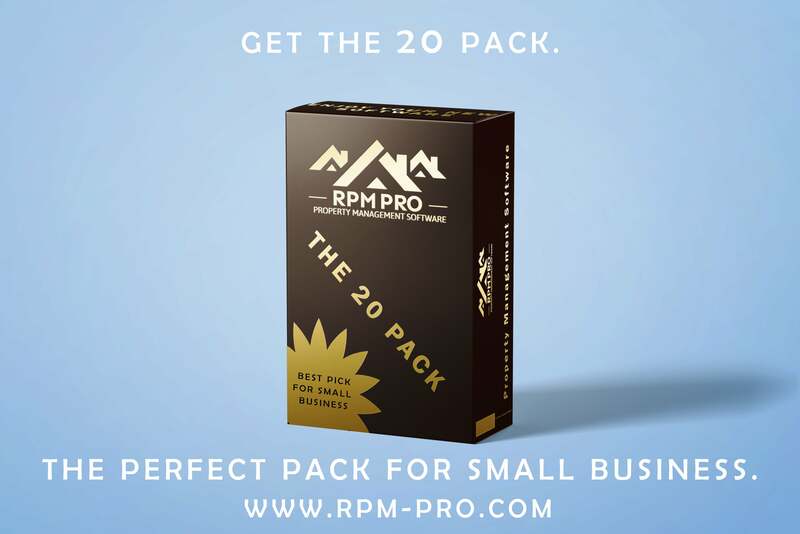 RPM Pro will save you time and money! We wont have these special pricing deals for ever so order today!